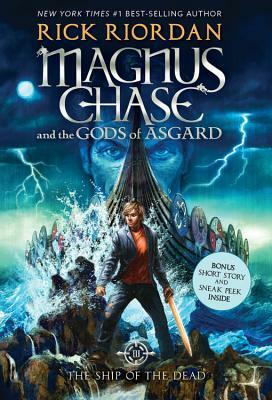 Rick Riordan, dubbed "storyteller of the gods" by Publishers Weekly, is the author of five New York Times #1 best-selling series, including Magnus Chase and the Gods of Asgard, based on Norse myths. He is best known for his Percy Jackson and the Olympian books, which bring Greek mythology to life for contemporary readers. He expanded on that series with two more: the Heroes of Olympus, and the Trials of Apollo, which cleverly combine Greek and Roman gods and heroes with his beloved modern characters. Rick also tackled the ancient Egyptian gods in the magic-filled Kane Chronicles trilogy. Millions of fans across the globe have enjoyed his fast-paced and funny quest adventures as well as his two #1 best-selling myth collections, Percy Jackson's Greek Gods and Percy Jackson's Greek Heroes. Rick is also the publisher of Rick Riordan Presents, an imprint dedicated to publishing highly entertaining books by authors from underrepresented cultures and backgrounds, to allow them to tell their own stories inspired by the mythology, folklore, and culture of their heritage. He lives in Boston, Massachusetts, with his wife and two sons. For more information, go to RickRiordan.com, or follow him on Twitter @camphalfblood.